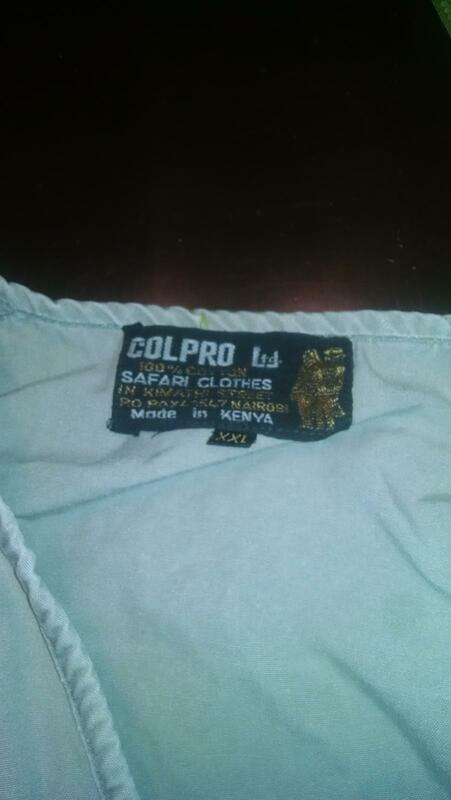 Xxl fishing vest, COLPRO Ltd brand, made in Kenya. 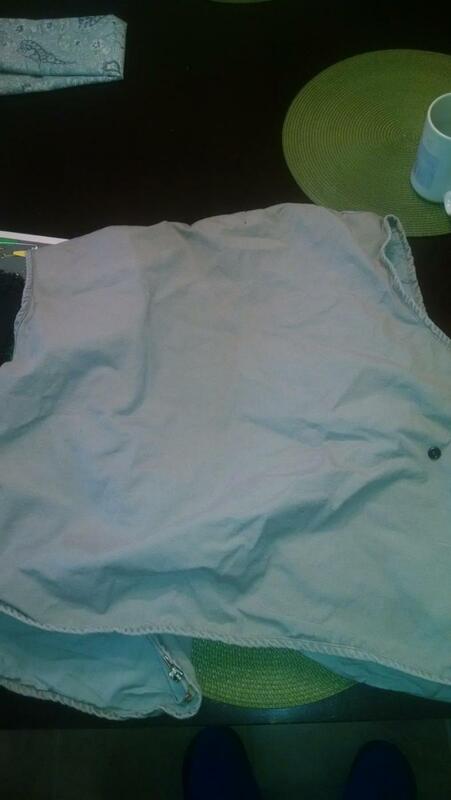 8 different sized fishing pockets, button and zippered pockets, zippered front, 100% cotton, no stains, don't think I ever used it.$20 shipped PayPal, will ship in flat rate envelope to save on shipping. Will ship once the blizzard breaks.pics are bad but it is a sandstone gray color. Hi Dan, question, how large are the zippered bellows pockets? Can you provide me with a measurement? Zippered pockets are 10" x 10" and and easy 3 1/2" deep. 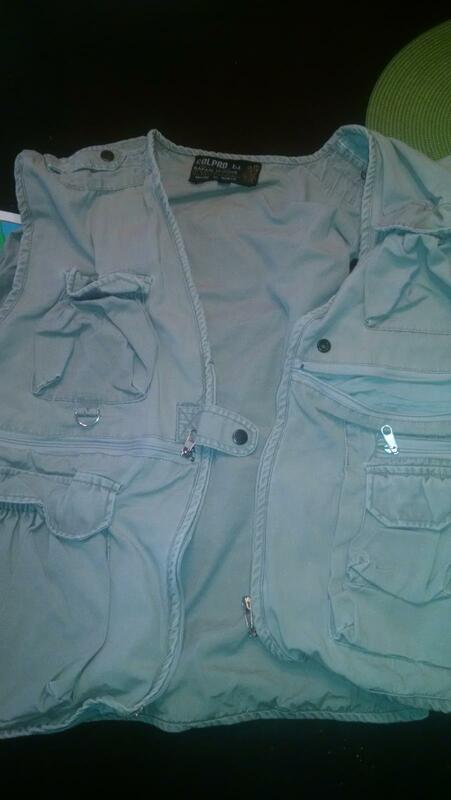 Has not been worn the pockets are still factory stitched.